SJUOZ is the scientific journal of the University of Zakho with p-ISSN: 2663-628X, e-ISSN: 2663-6298 and DOI: doi.org/10.25271/sjuoz. It is an international, multidisciplinary, peer-reviewed, double-blind and open-access journal. 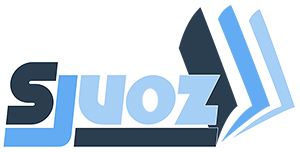 SJUOZ aims to cover broader scientific research activities in all fields of basic and applied sciences. It is also committed to making genuine contributions to the science researches by providing an open access platform.